This is supported by an entry in the Victorian Ship and Builders boat register. This register shows four boats built by Gilcraft Boats which includes Mischief. 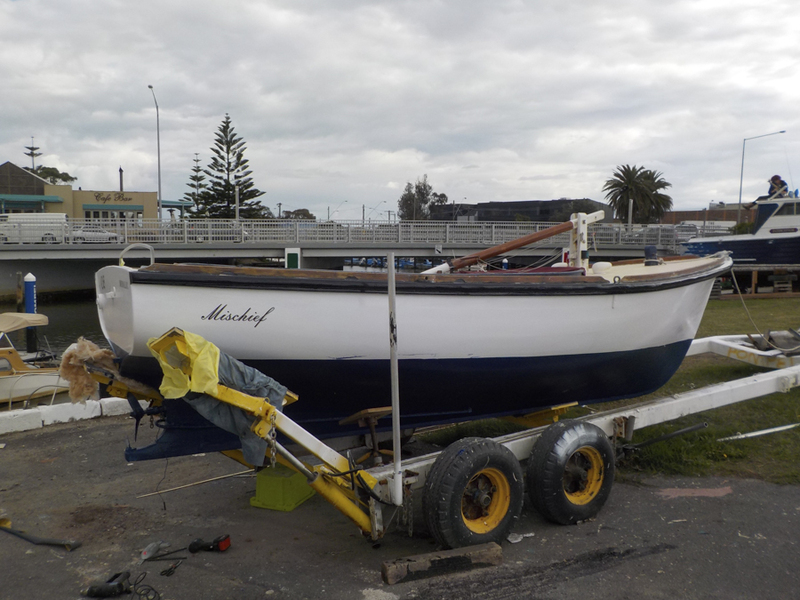 Also listed is Wauchope renamed to Merlyn and now Daisy, which is on the couta boat register. The other two are Gull and Melani. We purchased Mischief in 2005. At the time I was not aware that the boat was in fact a C B. I was looking for a seaworthy fishing boat. 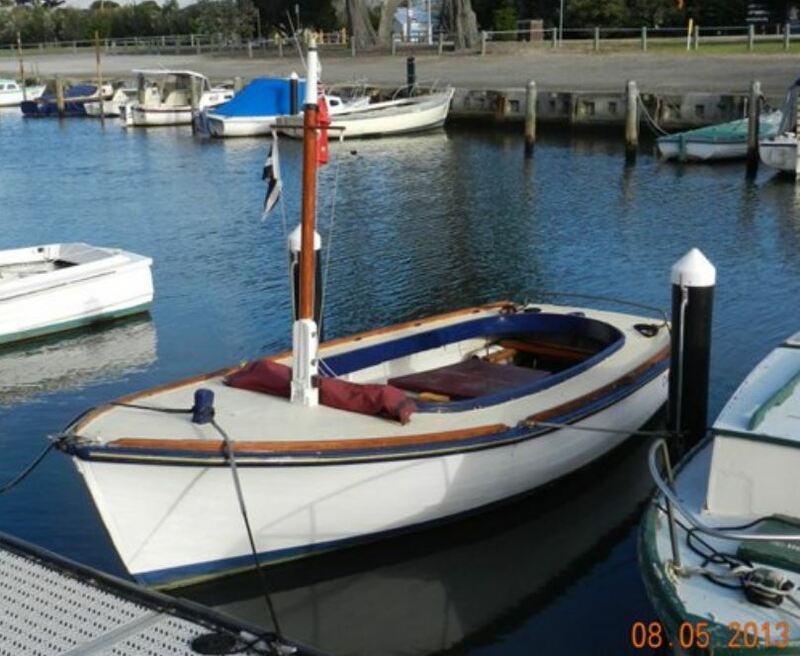 Once the deal had been concluded the seller told me about the sails and mast. Once I took delivery I realised what I had bought. Photo shows Mischief with her smaller fishing mast. I had this mast made up for ease of fishing. Original main mast, gaff and sails are safely stored. Boat is very stable and a great fishing boat. We have had some very good catches, though I must admit not the namesake couta.